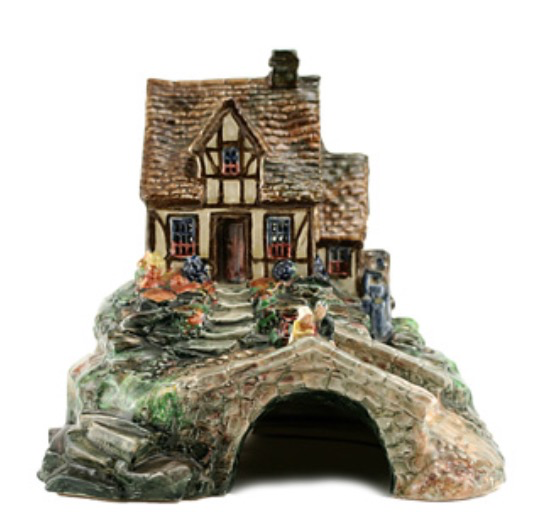 Collecting Doulton Cottage Pastille Burners. In the 1920’s and early 1930’s there were a handful of cottages produced at Burslem as pastille burners. Examples of these are rare today and whilst we can imagine their use, I have also seen an example mounted as a lamp from the 1930’s with a bulb inside the cottage as well as one above it creating a sentimental image of a typical English cottage. Other cottages include a Tudor style house and a low cottage. A very rare and limited range to collect.